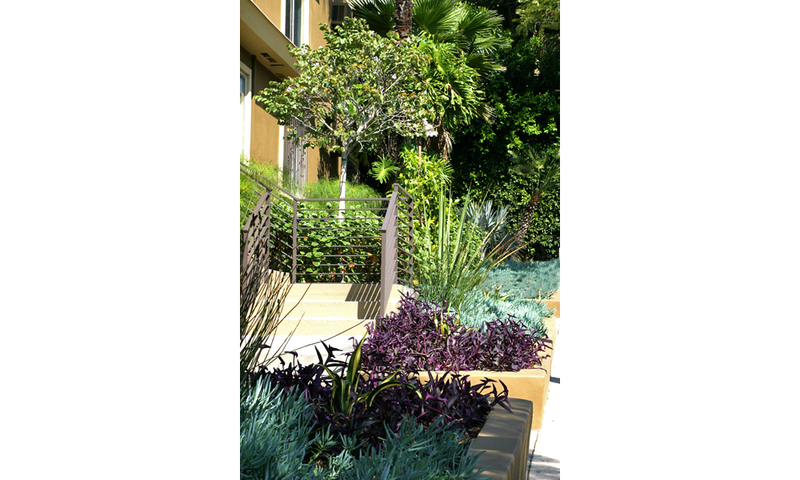 Hacienda Apartments is located in the heart of Hollywood, CA. 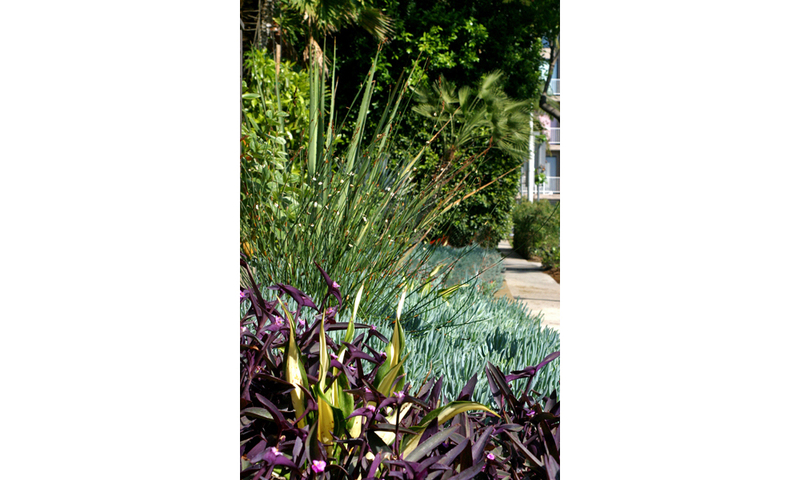 The garden hosts a variety of unique species and combines color, form and texture to make an inviting show and curb appeal. The interior plantings appear as an underwater setting to go along with the turquoise pool hidden within the walls.